A civil marriage in Italy or a civil wedding Italy is the most celebrated marriage for couples. A civil wedding in Italy offers a fantastic variety of charming locations. Ceremonies are conducted in historical town halls, medieval castles, beautiful villas and palaces. In recent years local authorities have made many agreements with museums and private properties to hold legally binding civil ceremonies in the most beautiful locations. Civil marriages are officiated by an Italian authority and are legally recognized in your country. Civil ceremonies in Italy can be customized with elements that express your personality and values: music, readings, poetry and personal vows. Our portfolio offers the most beautiful and popular wedding venues for a civil wedding in Italy. 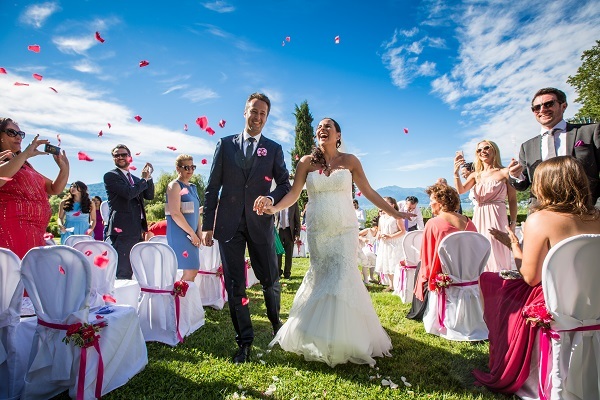 We can provide you with a fine selection of outdoor wedding venues for an official civil marriage in Italy! Just contact our wedding planner in Italy for more information and to design your perfect wedding in Italy!